Isiah Factor | The Insite » MORE FINANCIAL PROBLEMS FOR CHAMILLIONARE! MORE FINANCIAL PROBLEMS FOR CHAMILLIONARE! June 8, 2010 | Posted in Uncategorized | Comments Off on MORE FINANCIAL PROBLEMS FOR CHAMILLIONARE! THE SOUR SIDE OF THE ENTERTAINMENT BUSINESS! 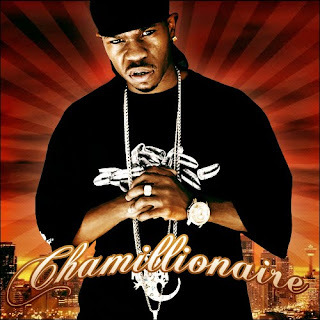 Chamillionaire’s money problems make headlines again, this time finding the rapper burdened with a $184K debt to the IRS. According to Detroit News, the IRS filed a $184,692 lien against the rapper and his wife on November 23 with the Montgomery County (TX) Clerk. The owed delinquent federal taxes date back to as far as 2007. Chamillionaire is prepping the release of his long-awaited third album Venom. He is currently on his “In Love With My Money” tour with fellow Houston emcee and former partner Paul Wall.